In 2004 at the age of 8, Josh had his first race in the British Minimoto 4.2 Championship, where he found himself on the podium in 2nd place. He first appeared at the Thundersport GB in 2009, where he placed 16th, improving on this result the following year when he came 4th. In 2011 Josh was the youngest rider on the grid at just 14 years old he finished runner-up, after 30 races he was on the podium an impressive 21 times including 6 race wins. 2009 and 2010 also saw Josh become North West Centre ACU Junior road race champion for two consecutive years. This came before Daley won the 2011 Formula 400 & Open 500, ACU North West F400 and becoming the youngest ever Ace of Aintree champion in the history of the club. In 2012 Josh won the F400 championship and came 2nd in the Open 650, and as he mentioned appeared as a wildcard ride for Simon Crafar’s Moto Vudu team. Daley raced in the Pirelli National Superstock 600cc Championship in 2013, moving to the Supersport class of the Evo Championship the following 2 years, where he placed 8th and 10th respectively. 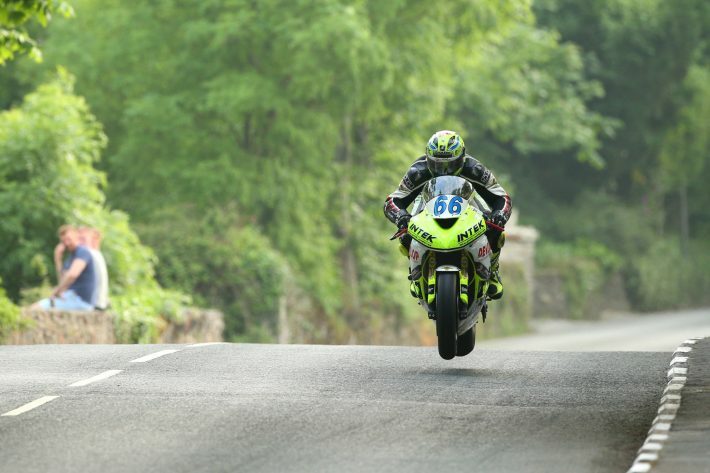 2016 was the first year Josh appeared at the Isle of Man TT, racing in the Supersport TT 1 where he placed 46th and the Supersport TT 2 coming 52nd. The following year Daley improved his placings when he came 35th in the Supersport TT 1 race, as well as taking 23rd in the Superbike Classic race. In the Supersport TT 1 race Josh’s average speed improved massively from 109.919mph in 2016 to 114.972mph in 2017. Moving into the 1000cc category for the first time, Daley went into the 2018 Isle of Man TT saying he was treating it as if it was his first but he acquitted himself well with the highlight coming in the Superstock in which he placed 44th. Josh managed a new personal best lap of almost 121mph while riding the 2017 Kawasaki ZX10RR. As well as this, Josh Daley came 36th in the Superbike TT and 52nd in the Supersport TT 1 race, which was won by Michael Dunlop. Josh had a week of mixed emotions however, suffering a cold which saw him pull into the pits during the second Supersport race after the first lap to retire. To compete as safely as possible on the Mountain Course you have to be feeling 100% and so it was widely considered a wise move to cut his race short. After the race Josh tweeted: “Woke up this morning full of cold, can’t breathe through my nose. Started the race but struggling to breathe and made a couple of mistakes. Pitted at end of lap 1 and retired from the race. Sorry to all my sponsors & supporters. Will see how I feel Friday for the Senior. Josh #88”. Unfortunately Josh was also forced to retire in his first appearance in the Senior race but he returned to the Isle of Man for the Classic TT which proved to be a much more successful campaign. Riding Steadplan Primus Racing machines, Daley placed 12th and 17th in the Superbike Classic and Senior Classic races respectively. Josh also returned to the Ulster Grand Prix and he enjoyed a successful week on the Dundrod circuit, taking a best finish of 12th in the opening Supersport race. He followed this up with 21st in the second and lapped at a new personal best of 124.778mph on his way to an excellent 14th place in the Superstock encounter. Find out more about your other favourite road racers HERE!